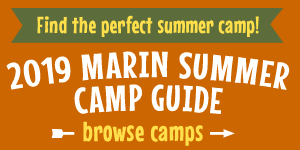 Marin Mommies presents a sponsored article from Mei Jei Mandarin Chinese Immersion Preschool. Looking for a unique preschool option for your child? Mei Jei Mandarin Chinese Immersion Preschool in Novato is now accepting applications for fall enrollment! Children will learn a second language in an immersive environment where the teachers only speak to the students and each other in Mandarin. Research shows that this is the best way to learn a new language! The Mei Jie Mandarin Chinese Immersion Preschool invites parents in Marin County an open house on Saturday, July 28, 2018, from noon to 6 pm. During the open house, Jie Zheng, founder and director of the new school, will give tours of the school and meet with parents who are interested in giving their children the advantages of a second language through a Mandarin Chinese immersion learning experience. Information about the school’s enrollment, curriculum, policies and cost also will be available. Learn more about the school on their website. Mandarin is quickly becoming the world’s most popular second language, in part due to China’s growing economic influence, and while there are over 227 Mandarin immersion schools nationwide, with many in the San Francisco Bay Area, Mei Jie Preschool is the first in Marin County. Education experts agree that helping children master more than one language impacts success in every aspect of their lives, including careers. Children who learn a second language at a young age demonstrate increased problem-solving skills and creativity. Bilinguals also tend to have more highly developed communication skills and perform better on verbal sections of scholastic aptitude tests. Mei Jie Mandarin Chinese Immersion Preschool founder Jie Zheng has been teaching Mandarin Chinese to children, youths and adults in Marin County since 2009. A native Mandarin speaker and American-educated teacher from Shanghai, China, Zheng taught after-school and preschool programs through the Mill Valley and Ross Recreation Departments, St. Rita’s School in Fairfax, and the Terra Linda Montessori school in San Rafael. She also has taught Mandarin Chinese at Mark Day School in San Rafael. She golds a master’s degree in early childhood education and bachelor’s in elementary education from Sonoma State University, as well as a bachelor’s degree in teaching Chinese language and literature from Zhejiang Normal University in China.